I don’t really know how to answer this. I do know that the first option – not writing at all – is really no option for me at all. I have loved writing almost as long as I can remember and my brain just thinks in terms of narrative and analogy and phrasing. Poetry was my first love. An elementary school assignment helped me discover that rhyming came easy for me. I composed my first verses about the game of softball. A ballad along the lines of “Casey at the Bat”. At 9 years old, it’s what I knew. And I still have it if you ever need a giggle. In middle school, I wrote about what I longed to know – middle school boys. My poems dripped with the weird feelings and angsty emotions I couldn’t really understand. Impressed by my talents, my girlfriends even requested I write poems for them about the boys THEY liked. I usually obliged. I penned a few about my growing devotion for God, too. But at the risk of sounding falsely righteous, unrequited love remained my favorite topic. I joined the Creative Writing Club in high school (What? It was cool…ish) and enjoyed assignments for English and Literature classes. Until my senior year when my Honors English teacher tried to wring every ounce of creative zeal out of my body and leave me out to dry. I know that sounds dramatic, but I don’t say it lightly. Both of my parents taught public school in the same district I attended. They frowned upon complaining about teachers, but sided with me on this one. After a year of harsh critique and criticism, I burned out and took a break from pen wielding while enjoying all college had to offer (a little too much) and falling in love with my husband. I got pregnant with Shelby during the first year of our marriage and kept a pregnancy journal for her. During those months, jotting down what I experienced and felt for her reignited my passion for words. So passionate was I, in fact, about that notebook that I frightened my poor husband to death with a wailing phone call after our new puppy chewed it up. What can I say? Pregnancy hormones. As we made plans for me to stay home and care for our first child, we looked for ways to cut costs. The relatively new, exciting and slow (remember dial-up?) internet offered me a job writing online devotionals for a Christian website. Unfortunately, these folks were a little ahead of their time. Not many people did their reading digitally in the year 2000 and the money ran out quickly. But my first paycheck was the exact amount I owed my OB/GYN after taxes for delivering my baby. Only God. When we moved to the big city for Shelby’s medical care, a new church family blessed me by using my gift for articles and newsletters in the Women’s Ministry. A few years later, a charitable organization offered us the opportunity to fund raise for research to benefit Dravet Syndrome in Shelby’s name. I birthed a blog to help with those efforts called “Shelby’s Fast Feet”. I wrote about her and this disorder and life as a special needs mom. 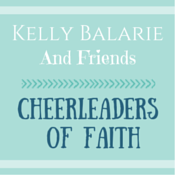 That blog became “The Sparks Notes” as I continued to write about Shelby but also felt called to share other details of my life and the ways God moves in it. And now I continue to write about Jesus and family and friends and all the things here at laurensparks.net. Several of you kind friends have asked me how I’m progressing with my latest passion project – writing a book. The simple answer is…slow. I let this frustrate me initially, but I refuse to allow it that power anymore. The truth is I am a mom and a wife with 2 part time jobs. And right now writing has to fit around the edges of all that. And I’m writing about friendship. So I’m not going to pass on the opportunity to share in fellowship and community with someone else so I can sit at the keyboard. That defeats the purpose of the message I believe God is whispering through me. And you know what? The more time I spend with the material and the more time I spend with the real people, the more He opens my eyes to the incompleteness of the lessons He continues to teach me on community. God keeps molding me and writing the story He wants to tell. In Ephesians 4:1 Paul says, “I urge you to live a life worthy of the calling you have received.” So I keep living, and seeking and loving and typing, while waiting expectantly for the end result, which may be much different than the book I initially flushed out. What a great question!! You were totally made to write…God has given you so many opportunities to use your gift of writing!! Yes He has! Thanks, Katie. I’m a coffee and lunch girl myself. I love your experience with writing. I wanted to be an author growing up so reading your story made me smile. I feel like blogging is what I was called to do. God simply asked me to write and publish what I would journal for myself for others to see also. So yes, I would still write even if no one read it. I may stop adding all the fancy pictures, key words, and tags. I may give up linkups and group boards, but writing is a part of who I am. The ONLY reason I share and do all the rest is because God asked. And if He asked me to share, then there is someone, at least one other person somewhere who needs to read it. Good point, Brittany. It sounds like we are of one mind and heart on the subject. I feel like I have so much to say and share but right now have been soaking up other’s stories. I feel like God continues to put amazing women telling their stories in my path to teach me the best way to share mine so He shines through. I laughed about your teen poems because that was my first love too and I still have all those “love” poems around here somewhere. A fellow poet! Saying a prayer for you today on your writing journey, Sally. Love this! Love hearing the back story. 😊. Love you! Wish I could do coffee or lunch…. Keep writing and sharing. He is blessing so many through you and your authenticity. That is a huge compliment coming from you, Marcella. I wish we lived close enough to grab a bite, Laurie! Lauren, I love this! Just keep telling His story and yours. God will send your words where He wants them and will use them for His purposes. I love that all we have to do is keep showing up and you are showing up beautifully! Blessings and hugs! Thanks, Deb. That means so much coming from a writer like you! Lovely thoughts! It sounds like you are right where you need to be! Writing your book will come at the right time. For now, your blog is a true blessing. Thank you, Katrina. Your encouragement has truly made my day. 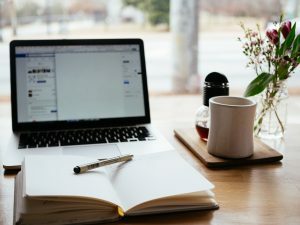 I love your journey with writing- I definitely think there are chapters of my life where writing has played a key part, and others were it has taken a bit of a back seat. Right now I get my writing fix with the blog, but am really jonesing to start journaling again! We sound like kindred spirits, Ashley. Such encouraging words here today, Lauren! I still have my high school notebooks full of poetry, and we have shared a similar journey. Praying blessings on you today, and I shared this on Twitter! I appreciate you so much, Sarah! That is a great question to think about! 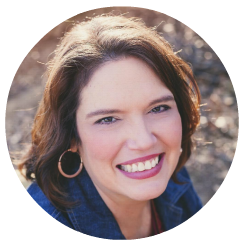 I loved reading about your writing journey too- it’s always interesting to see how God leads people through different stages of life! So lovely to hear the background to your writings. I felt for you reading about the notebook being chewed! The words will come and it will be finished- hopefully when the time is just right for it to be well-received. Lauren, I love the thought provoking question you asked of yourself. Thank you for sharing and reminding me that no matter how small, the important thing is to be faithful and walk in obedience. So glad to have stopped here this morning! I’m so glad you did too, Joanne! Couldn’t agree more about the writing. I would definitely keep writing if no one read it. Kindred spirit, I starting writing at about 7, haven’t stopped, i love blogging and God has blessed me with meeting and encouraging fellow bloggers, never give up your gifts God doesn’t give up on us. You are so right about that Rebecca! Love the question. I remember being asked that in some graduate writing class. I chose, still write. Like you, I think in words and phrases and just have to get words on paper even if no one reads them. I also wrote many silly rhyming poems in grade and middle school. In grad school my poetry was sad and gut wrenching. Who doesn’t want to be made sadder or reminded of tragedy? I was trying to wring emotion from the reader, and it worked. Funny how I was writing about tragedy, yet knew so little about it. Now I prefer to write about more positive things. Grad school was supposed to teach me how to write, but life and teaching English were the real teachers and improvers of my writing. I am a tea and lunch girl and have a hard time passing up getting together with real people. Maybe some day we will meet. We could read each other our silly poems and laugh. Because laughing with a friend is pure delight. Theresa I’m sure we would have a ball together and have lots to talk about! Thanks Traci. They say life is the best teacher, right? Our story is not finished until God says it is. I love how you are called to write and the journey of how God is blessing that gift. As you live life and continue to learn, your story will only get better as you use it to glorify God. Blessings! P.S. I could not get the tweet to work for me. Thanks for letting me know, Mary. I will check on it. That’s a great question to ask ourselves, Lauren. It reminds me of a commitment I once made to God to write for the audience of One. So thank you for this encouraging reminder. Keep on writing! 🙂 I love that you say at your About page that your biggest hope for this site is that we may see Jesus here. 🙂 Blessings and hugs to you! Yes! An audience of One. That’s perfect! Yes I would keep writing if no one read my writing. I plan to start a blog. I just have to figure out what I am going to call it. I can truly feel your love of writing when I read this post. You also made me feel excited about mine. I’ve been a reader most of my life and have only started writing when I started my blog a year ago. For one year, it felt like it was only me reading my own writing. So to answer your question, if I knew nobody would read what I write, I would still write, but maybe less. Less just so I can have a bit more time in doing work that can help support my family. At this stage, I feel like such a novice in writing that I have to learn a lot more in order to make a living out of it. It makes me so happy that you found your love of writing! Keep at it – for your own enjoyment and the edification of others.